Providers have been given assurances that logistics apprenticeships will continue to be certificated after the industry’s Sector Skills Council (SSC) announced it was closing. 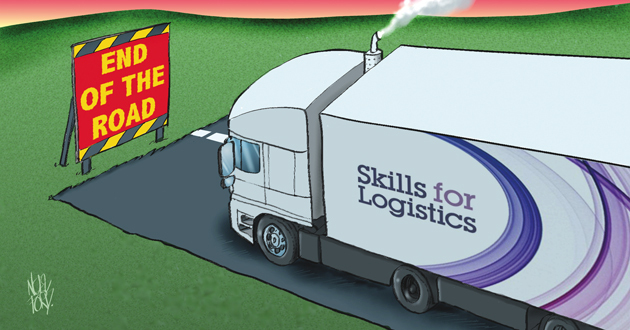 More than 30 jobs are thought to be at risk after the board of directors at Skills for Logistics (SfL), one of 18 SSCs in the UK, announced on Tuesday (January 6) that it was closing, and was considering administration. A spokesperson for the Milton Keynes-based charity said it had happened “due to pressure placed on the business by the trustees of the pension scheme, which SfL joined following its initial set-up in 2003”. The Federation for Industry Sector Skills and Standards (FISSS) assured providers of apprenticeships certificated by SfL that they would not be affected. SfL’s annual accounts in March last year showed it had an income of £3.6m and 34 full-time-equivalent staff. They also showed that as of March 2010 there was a £1.5m black hole in the “defined benefit” pension scheme, established in 2003 with the ITB Pension Funds Open Fund. Three years later that had been reduced by £300,000. SfL had paid more than £200,000 annually towards the deficit in the two years leading up to publication of the accounts. The SfL spokesperson said: “Like many similar organisations, the significant pension deficit and subsequent on-going recovery payments has placed extreme pressure on a smaller SfL business in a rapidly changing economic environment. “We have worked hard to exist and be effective over the last two to three years in the ‘new world’ of substantially reduced public funding. The accounts also revealed SfL received £4m funding from UKCES for 2013-14 and beyond. A UKCES spokesperson declined to comment on whether it hoped to retrieve any funding. However, he said: “We are aware the board of SfL has taken the decision to close and is appointing an administrator. The ITB Pension Funds Open Fund declined to comment.